Hello Darlings! 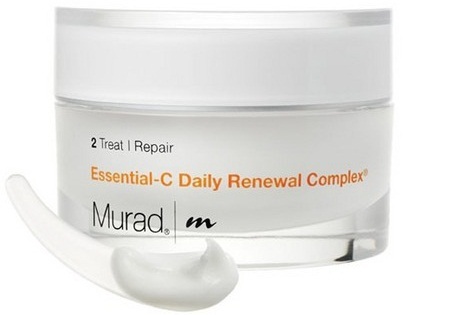 One of my friends told me about Murad and how she swears by their products. After reading about it online, I decided that I should pick up the Essential-C Daily Renewal Complex and try it for myself. After two weeks of trying it out, I am in love! It promises to reduce fine lines, even out skin tone, and reverse the signs of aging. When I tried it out, I began to notice that my skin was smoother and softer than before. It's defiantly for those who want to take preventive measures against aging. I would recommend this if you are beginning to notice soft lines or want to even out your skin pigmentation. I have fine lines around my mouth since I am always smiling. I noticed the lines are less visible. It's a keeper! Exclusively for The Glambassador readers, you can save $10 off any $40 Essential-C Skin Care Order using promo code: SAVE10MURAD . You can use this coupon on any essential-C skin care order, not just the renewal complex. Enjoy! !